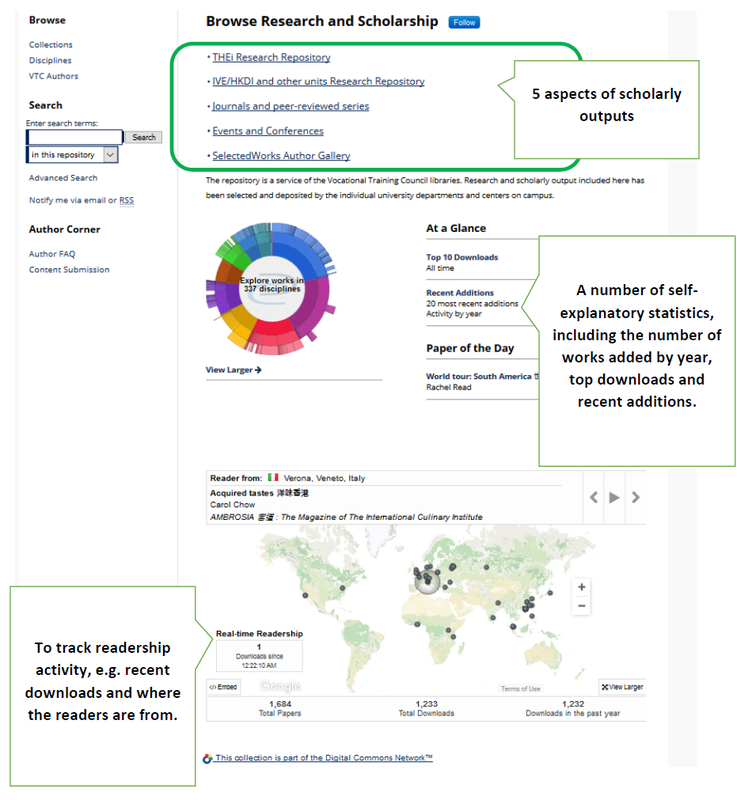 This guide is to help you to explore the VTC Institutional Repository (VTC IR): browse researcher profiles, do performance & impact analysis, access research articles from the repository, and submit research works. VTC Institutional Repository is powered by Digital Commons, a hosted institutional repository platform licensed by bepress. What is in VTC IR? journal articles; books; book chapters; conference proceeding; thesis/dissertations; editorials; exhibitions; letter to the Editor; news articles; presentation; response or comment; technical report; periodicals/magazines, etc.